To update you shipping information, select the Shipping button. To adjust your Shipping Rates, select the Add Rate button. 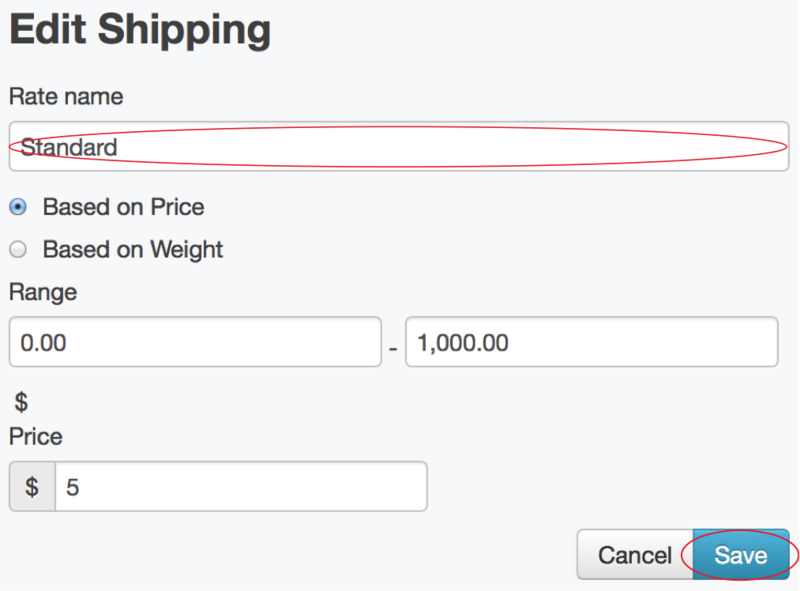 Select the Edit button to make changes to you shipping criteria. Here you can customize your shipping rate, based on price or weight and the price. Be sure to hit Save button when you're done editing your settings. To edit Carrier Shipping Calculation, enter in your User ID and hit the Save button. You can also Register with USPS to set up a web tools account. 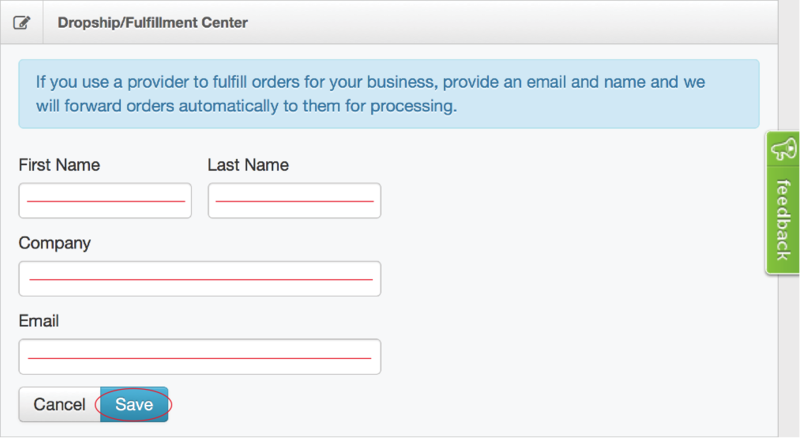 If you use a provider to fulfill your orders, provide the contact information under the Dropship/Fulfillment Center section. Once you select the Save button, and SquareHook will forward order to them to be processed.